I sat through Neil LaBute’s attempt at reincarnating the British farce “Death at a Funeral” (which I hadn’t seen prior), and I can only imagine that fans of the original film are either outraged or easy to dismiss the Americanized version that has been tailored to fit the Tyler Perry crowd. 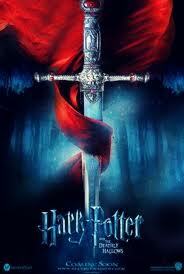 Overall, I have little to say about the movie. 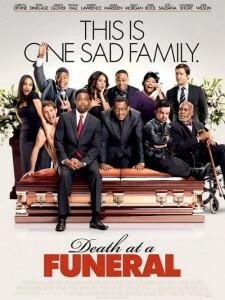 It has a major ensemble cast, and not any one of the actors (including: Chris Rock, Martin Lawrence, Danny Glover, Luke Wilson, Zoe Saldana, Tracy Morgan, and James Mardsen) had a genuine moment in the entire film, and perhaps that is why about five minutes after it was over, it is hard to revisit any of the movie’s events. The story centers on Chris Rock’s character, Aaron, preparing for the funeral of his father at his own home. His entire family will be reunited for the ceremony, and Aaron is nervous about his prepared eulogy, as everyone expects his younger brother (Martin Lawrence) Ryan, the professional author, to do the honor. 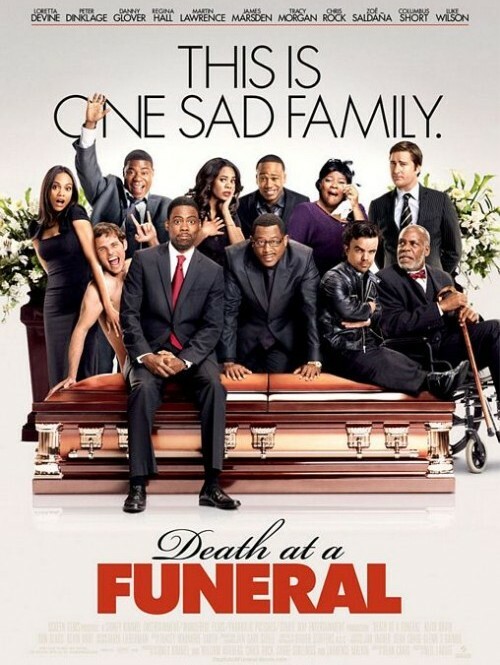 The plot kicks into motion due to Zoe Saldana’s boyfriend character, Oscar (James Mardsen) , mistaking a cocaine/acid pill for Valium which causes him to hallucinate and make a scene throughout the afternoon, which includes him opening the father’s casket during the ceremony, and tipping it over—spilling his body onto the floor. Eventually, Aaron finds more trouble in the form of Frank (Peter Dinklage, of the 2007 version as well), a dwarf on a mission to expose a shocking secret about Aaron’s father unless he receives a hefty payment. Other chaotic events surround and multiply, putting Aaron at the center, including Ryan’s inability to pay his share of the funeral costs. All the right elements for a great stage play farce are here, but the movie simply can’t deliver. Perhaps I’m not exactly fond of any of the comedic talents here, but that shouldn’t matter. Even if I’ve never found Rock, Lawrence, or Morgan to be all that hilarious, the movie should be about the farce, and the chaos of events that take place. But I never found myself included in the mayhem. I observed one-note characters and a handful of big-name actors going through the paces of tired situational comedy, and I didn’t buy any of it—especially once the final eulogy is delivered, the scene couldn’t be more forced and awkward. Not one plot turn or gag had enough shock, surprise, or wit to fuel my interest, and so this remake left me feeling decidedly blah and unmoved to the core. When will Hollywood learn, adding a midget to an already un-funny movie does not make it any less un-funny?